When you install Windows on your computer, it places lots of vital files on your system 5 Default Windows Files and Folders You Should Never Touch 5 Default Windows Files and Folders You Should Never Touch Windows contains countless default files and folders, many of which the average user shouldn't touch. Here are five folders you should leave alone to avoid damaging your system. Read More that you probably haven’t ever looked into. Usually you won’t need to bother with these, but if they get corrupted somehow, it causes problems. Blue screens, weird error messages, and crashes can all be caused by screwed-up Windows system files. Note that this will take some time, so you’ll have to wait to see the results. If your computer is badly damaged and you can’t run the command normally, you have two workaround options. First is to open a Command Prompt from the Advanced Startup Options menu How to Boot Into Windows 10 Safe Mode How to Boot Into Windows 10 Safe Mode Safe Mode is an inbuilt troubleshooting feature that allows you to fix issues at the root, without non-essential applications interfering. You can access Safe Mode in various ways, even if Windows 10 no longer boots. Read More . Go to Settings > Update & security > Recovery and click the Restart Now button to reboot into Recovery Mode. In this menu, click Troubleshoot > Advanced Options > Command Prompt, and type the same command as above. Before you do this, open This PC by pressing Windows key + E and confirm which drive letter the external drive is at. Replace the d in the command above with your drive’s letter to scan the correct one. Give it some time, and the command line will produce a message with the results. Using a Windows repair drive, you can also get into a Command Prompt and use this modified command to scan your internal drive using SFC. 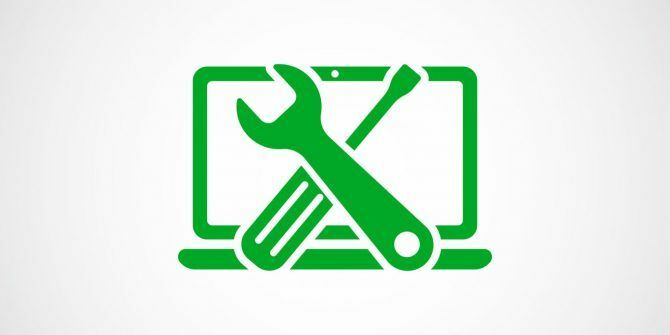 If SFC can’t solve your problem, check out further troubleshooting for a corrupted Windows 10 installation How to Fix a Corrupted Windows 10 Installation How to Fix a Corrupted Windows 10 Installation System corruption is the worst that could happen to your Windows installation. We show you how to get Windows 10 back on track when suffering from BSODs, driver errors, or other unexplained issues. Read More . Have you used SFC in the past? Did this utility fix your problem? Let us know down in the comments! Not true! Microsoft may tell you sfc /scannow will scan and correct your broken (why are they broken?) system files - but that's theory; in practice it never worked for me - and I tried it many, many times!